DEKRA's commitment to greater safety in road traffic. Our founding fathers documented the aim of improving road safety in our statutes in 1925. In the early days, we focused on improving the safety of commercial vehicles. Before long, we were also providing passenger vehicle inspections, expert appraisals, vehicle testing, technical examinations and training.Through its various activities, DEKRA is committed to road safety. The regular vehicle inspections that we perform make an important and recognized contribution to enhancing road safety, as do the numerous accident research projects and crash tests that DEKRA conducts. Our accident analysts are regularly called upon to investigate the causes of road accidents at the scene. Furthermore, DEKRA experts are highly valued by national and international committees as competent partners in dialog. Not to forget the numerous publicity campaigns that DEKRA regularly initiates. 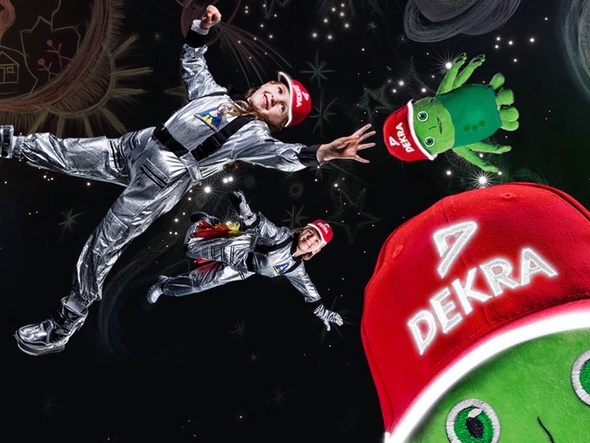 According to the motto "a head for safety" DEKRA is distributing signal-red safety caps for first graders to schools every year. With this campaign, which has distributed over 2 million caps so far, DEKRA is systematically implementing another initiative for greater road safety. The "Vision Zero" is the purpose of road safety experts around the globe. An overview of the cities with no deaths caused by road accidents provides the DEKRA online tool, which was developed by the DEKRA accident reserach experts.